The Free Family Fair at Bught Park ran over the 1st and 2nd September and featured many fun family activities such as free bouncy castle and face painting, casting lessons, informative but fun stands in the stakeholder marquee, crafts and foods from local producers as well as free salmon barbecue courtesy of Marine Harvest and the Marine Harvest Theatre Kitchen. The glorious weather contributed to a very enjoyable couple of days. 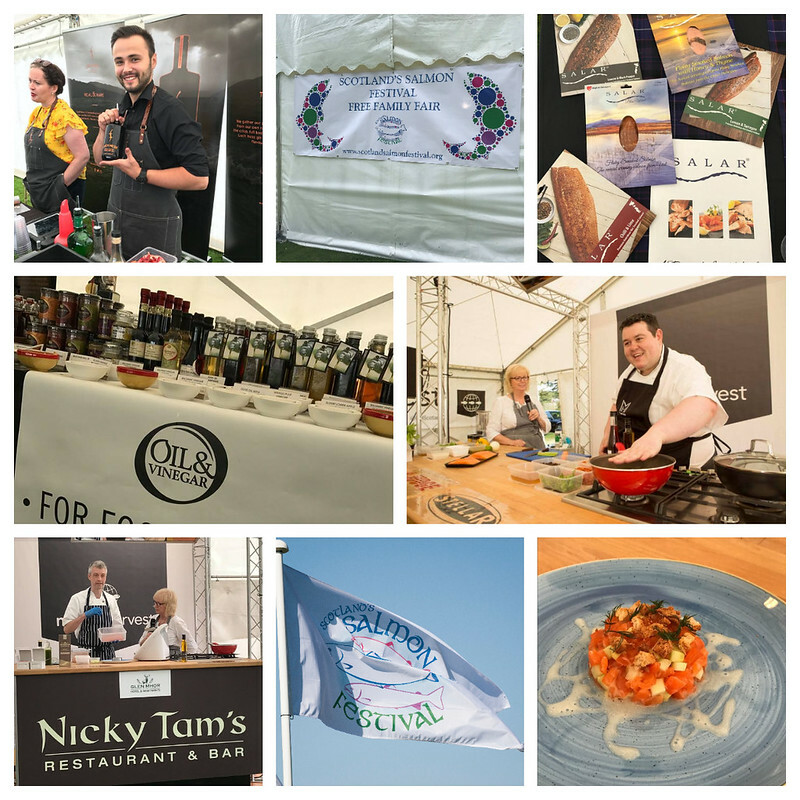 Kitchen Theatre demonstrations were compered by Rachel Gillon and featured chefs Chris Bond from Nicky Tam's Restaurant and Bar in Inverness, Mark Heirs, a former Masterchef The Professionals finalist and Alfie Little from the River House Restaurant in Inverness. We also had demonstrations from Ed Blackhall and Kat Wardrop from Macdonald Aviemore Resort Highland Hotel and Spa. Thanks to John MacPherson for images.